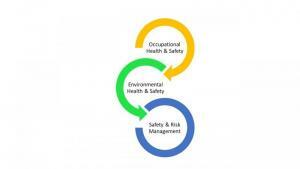 Occupational Health and Safety is a multi-disciplinary area concerned with protecting the safety, health and welfare of people engaged in work or employment. The goals of occupational safety and health programs are to foster a safe and healthy work environment for faculty, staff, students, and visitors. Environmental Health and Safety provides specialized services in the area of environmental management in order to protect the environment and comply with federal, state and local regulations. Programs include air quality management, hazardous waste management, and soil and water pollution prevention and are located on the left side of this web page.